Medical Inspection graded A1 – out with next draft. Parade before Colonel in morning passed fit. Leaving camp tomorrow afternoon. Had last swim. Packed what little gear I had in morning. Left Con. Depot at 2PM in bus from ??? – catching train at 3PM. Received meals at ??? & Kantara. Same train travels across canal now – have built a swing bridge – ??? stay at Kantara. Arrived at Cairo Station at 10 o’clock. Maadi at 11.30AM. To base reception. Only check parade ???. Church parade. M.O. Inspection – then issues of gear – too strict here for me, hope soon to get out. Marched out to Southern Training Depot. Met ??? ???. Attended first parade getting picked for guard from 4PM-4AM ???. 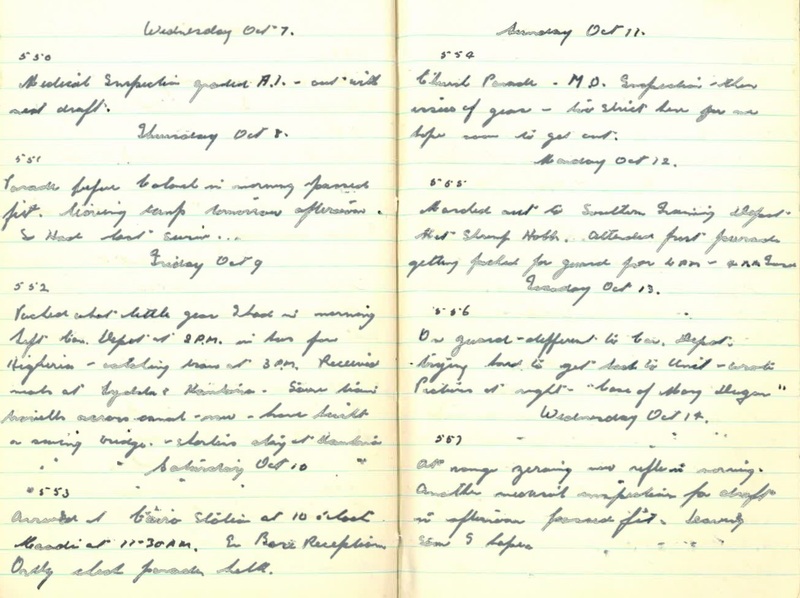 On guard – different to Con. Depot. Trying hard to get back to unit – wrote. Pictures at night “The Trial of Mary Dugan”. At range zeroing new rifle in morning. Another medical inspection for draft in afternoon. Passed fit. Leaving soon I hope. Well, that’s the end of lying on the beach and playing cards. For a few days at least. 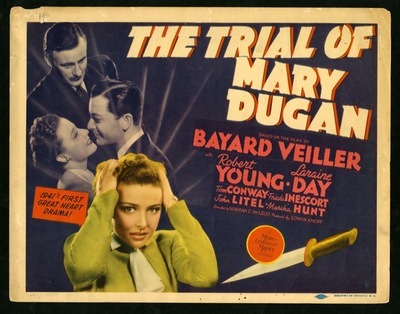 “The Trial of Mary Dugan”, starring Laraine Day and Robert Young, was released by Metro-Goldwyn-Mayer in 1941 in both the US and UK. A summary of the story is contained in a review found at http://www.imdb.com/title/tt0034311/?ref_=ttco_co_tt. Will update it once I get home as the connection is very slow in Myanmar.